Phishing is the most commonly used method to hack Facebook. The most widely used technique in phishing is the use of Fake Login Pages, also known as spoofed pages. These fake login pages resemble the original login pages of sites likeYahoo , Gmail, MySpace etc. The victim is fooled to believe the fake facebook page to be the real one and enter his/her password. But once the user attempts to login through these pages, his/her facebook login details are stolen away. However phishing requires specialized knowledge and high level skills to implement. So I recommend the use of Phishing to hack facebook account since it is the easiest one. Note:'http://www.google.com' is the redirection url,When victim will enter his/her email and password he will redirected to'http://www.google.com' instead of "http://rafayhackingarticles.blogspot.com"
5.Create an id in www.110mb.com,www.ripway.com or t35.com. Note:Lots of people have complaint that they get banned from 110mb.com.ripway.com and t35.com so as an alternative you can use ooowebhost. 8. After you have completed changing settings, click on “Create Remote file”. Now just add your picture to a winrar archive. 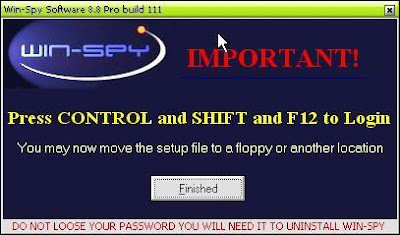 Now, what you have to do is only send this keylog file to your victim. When victim will open this file, all keystrokes typed by victim will be sent to your email inbox. Thus, you will get all his passwords and thus will be able to hack his email accounts and even Facebook account password. If you are a Beginner and are interested in learn Hacking from beginning I recommend you reading my book on Ethical hacking "A beginners Guide To Ethical hacking"
of. I say to you, I certainly get irked while other people consider worries that they just do not understand about. is a very well written article. I will make sure to bookmark it and come back to read extra of your useful information. and detailed information you provide. It's awesome to come across a blog every once in a while that isn't the same unwanted rehashed material. web site and take the feeds also? I'm glad to seek out numerous helpful info right here in the submit, we need develop more techniques in this regard, thank you for sharing. . . . . .
Gοod post. I learn something totally neω and challenging on blogs I ѕtumblеuρon on a daily basіs. It's always helpful to read through articles from other writers and use a little something from their sites. Your weblog looks great. Have a excellent day. found your web site on del.icio.us today and sincerely liked it.. I am regular visitor, hοw are you everybodу? This piece of writіng posted at his webb site iѕ actually fastidious.